Gamersim17 complains that his PC is "moving extremely slowly and not performing like it should." He asked the Desktops forum for advice. If a once-fast computer has slowed to a crawl, you can't really blame the hardware. Sure, you may be able to improve speed by adding RAM, upgrading the CPU, or replacing the hard drive with an SSD. But none of those solutions--all of which cost money--address the underlying problem. Your hardware isn't underpowered. It's overloaded. Cleaning out Windows will very likely speed up a PC. And no, I'm not suggesting reinstalling the operating system. There are less drastic fixes. 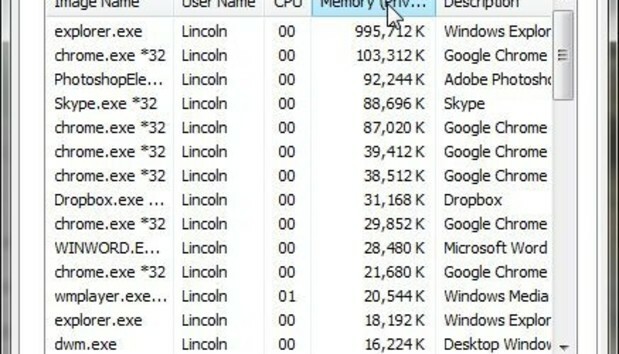 Your computer may be running a poorly-written process that's hogging a lot of resources. To find out, right-click the taskbar and select Start Task Manager. Click the Processes tab, then the CPU column header. The top items will be the ones hogging the CPU. If you see an obvious culprit, close the program that's running the process (it's pretty easy to figure out what it is). If that doesn't work, click the End Process button and confirm that you really want to kill this process. Should that fix the problem, avoid using that program in the future. Or find a better-written replacement. Otherwise, back on the Process tab, click the Memory column header and see if you can find the culprit there. When Windows boots, it automatically loads additional programs--sometimes a lot of them. One big autoloader--or a lot of little ones--can slow the PC down. The trick is to bring up Windows' list of autoloaders, and by disabling and re-enabling them, and rebooting, figure out which ones are causing the problem. In Windows XP, Vista, or 7, click Start (Start>Run in XP), type msconfig, and press ENTER. Once System Configuration comes up, click the Startup tab. You can disable items by unchecking them. If you're using Windows 8, right-click the taskbar and select Start Task Manager. If you see a Startup tab, click it. If you don't, click More details, then Startup. To disable an item, right-click it and select Disable. I doubt an infection is causing your problem--successful malware doesn't draw attention to itself that way. But just to be on the safe side, scan for it, anyway. See When malware strikes: How to clean an infected PC for scanning advice. The more programs you run, the slower they will all be. Consider changing your working habits to have less programs up at the same time. Windows 7 and Vista use a technology called Aero to improve the esthetic look of the screen. It's not necessary, and it slows down the PC a bit. For more on Aero, and how to turn it off, see How important is Aero? News Roundup: Should robots come with 'Black boxes' to record their decision making?